 Pacific Northwest Wilderness Medicine (PNWM) is proud to bring MedWAR Challenge back to the Pacific Northwest, coming to Washington State on May 11th, 2019. General registration is now open! Go to medwar.org/northwest and pnwmed.org/medwar for more information, or click the button below to register now. Also stay up to date with us on Facebook!